Best Christmas gift ever. 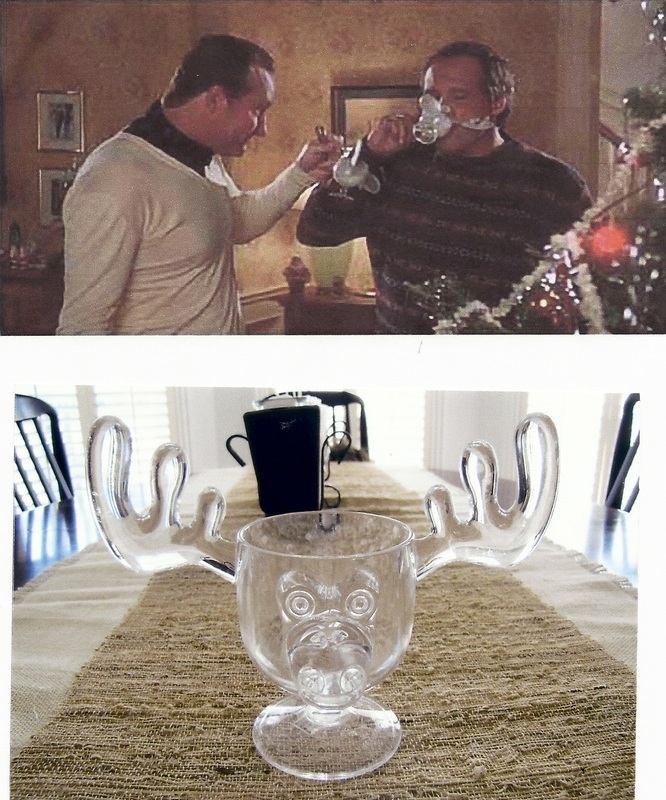 Christmas Vacation Moose Mugs. Just like Clark and Cousin Eddie used in the movie. 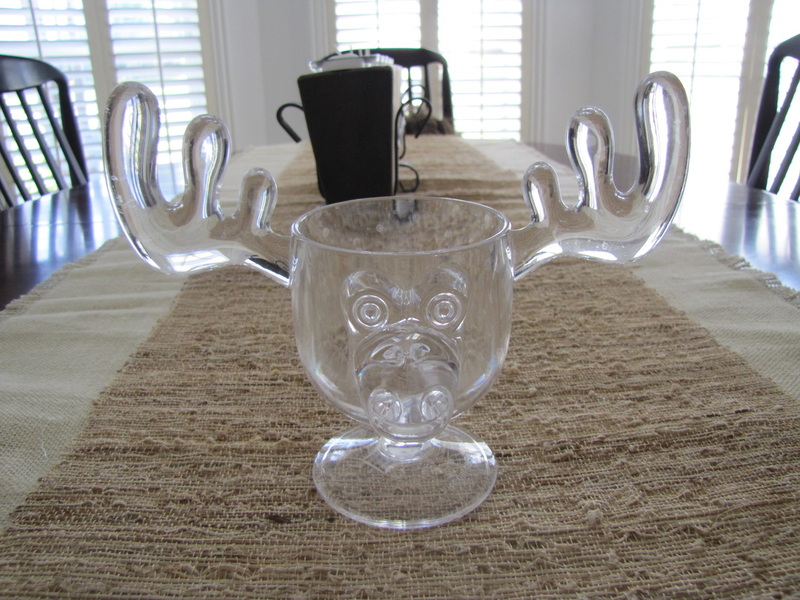 This year the kids are drinking out of our Christmas Vacation moose mugs. We remodeled our den and removed the mantle over the fireplace. Where will we hang the stockings? 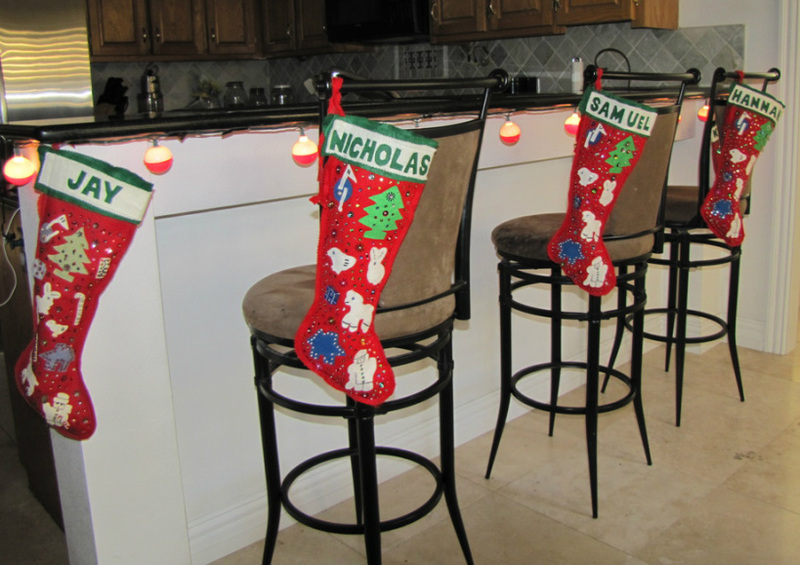 We decided to use the bar stools to hang the stockings and added the fishing bobber lights to finish the bar decorations. For our first Christmas with the triplets I didn't have time to really decorate. I wrapped the table in christmas wrapping papter and added a bow for the centerpiece. I wrote our names on clear ornaments' with white paint pens. This would also work for a ladies luncheon or birthday dinner. I covered our mantel with green garland and place various wine glass filled with salt and added a tea candels. 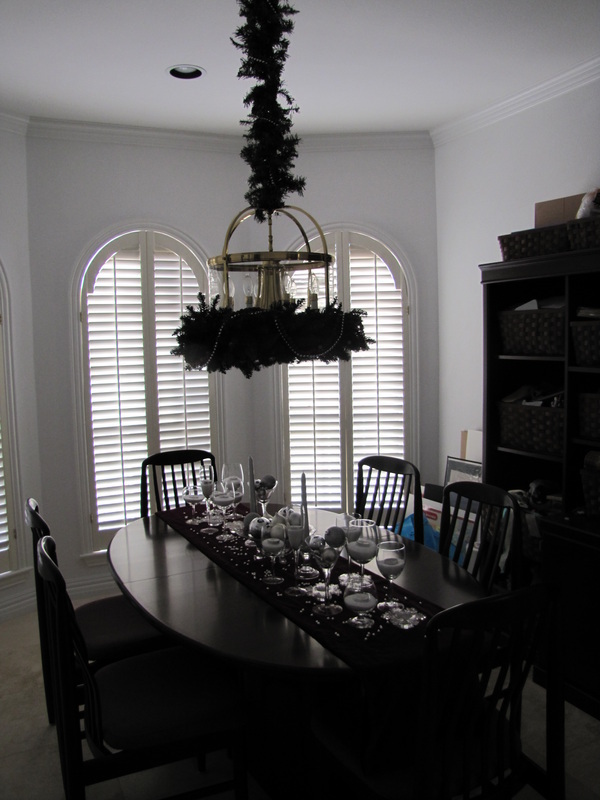 I also hung various sizes of icicles from the green garland. The dining room table is covered wtih a burgundy velvet table runner. I placed various sizes of wine glasses filled with salt and tea lights on the runner. I filled Martini glasses with silver orinaments. I add silver candles and tiny silver balls are strewn on the runner. On the chandelier I attached a green wreath and on the chain I wrapped it with green garland. 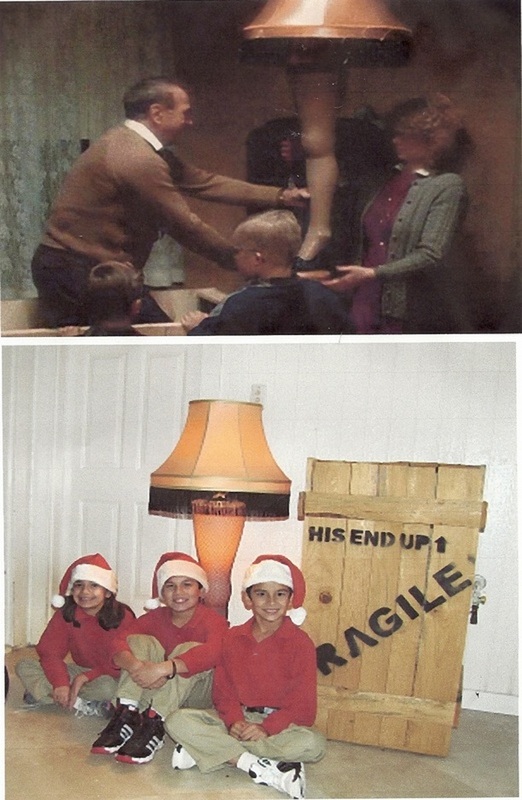 One of our favorite Christmas Tradition is to set out the Leg Lamp from A Christmas Story.